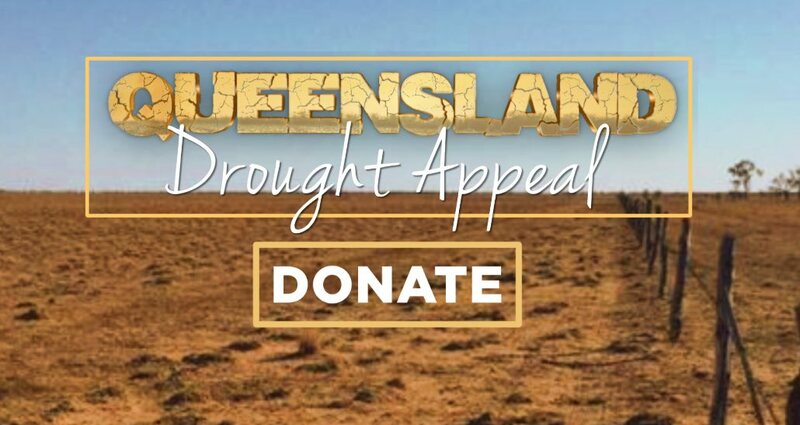 GOFUNDME campaigns and corporate donations help farmers in the short term but the Queensland Dairyfarmers' Organisation vice-president Matthew Trace said structural change in rural businesses was needed to safeguard against drought. He claims protracted campaigns by large retailers over the past decade had caused much of the current hardship. "The new Regional Investment Loans for Drought and Farm Investments launched on 1 July by the Federal Government will provide more low interest loan options," Mr Trace said. "But given current conditions and increased costs for feed and fuel, a lot of dairy farmers can't afford to even pay the interest on a loan. "So, it's not surprising that some more social media minded farmers are looking for other ways to raise capital." Farmers across the eastern states are having individual success with these public campaigns and Mr Trace said their are well over 100 crowd funding pleas on GoFundMe. "While these crowdfunding campaigns have been modestly successful, there is no a guarantee it will work for every farmer in need," he said. Instead of rely on the pity dollar, the Queensland Dairy Organisation has renewed its call for fairer pricing. "The facts are clear," Mr Trace said. "We have 386 registered dairies in Queensland and per farm, we have an average milk production of around 1.1 million litres per year. "If our farmers got 10 cents more per litre that would give them on average $100,000 back per annum. "That's not just a one off, but a sustained cash flow. The organisation's efforts to to lift the farm-gate price haven't been all the success with major producers like Parmalat holding firm during the contact negotiations in January, 2017. This puts the focus back on consumers to advocate for better prices through their spending. "It is the fair farm-gate price logo project that can really have a long-term impact on the Queensland dairy industry," Mr Trace said. "This logo will be displayed on all dairy products that can demonstrate that they are truly supporting our industry by giving their farmers a fair farm-gate price. "It will provide Queensland consumers with a very simple way of determining which brands are doing the right thing."